Ever heard it said that cats don’t like water? OK – that might usually be true. But it’s definitely not true for the Purrmaids – Coral, Shelly and Angel. These coast-dwelling kitties are half-mermaid and half-cat. Oh, and they’re besties all the way through! 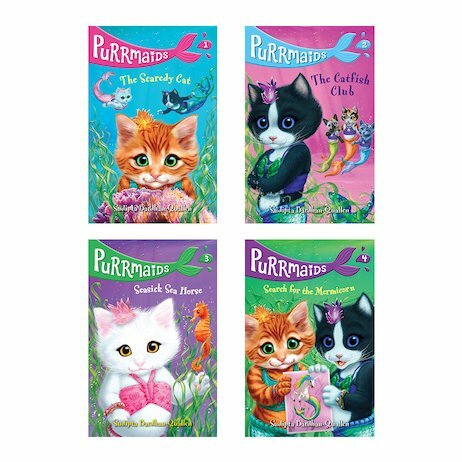 Come and meet the Purrmaids as they splash their way through four adventures in and around their beautiful home at Kittentail Cove. There are school bullies to tackle, fears to face and new friends to meet. But even when they make mistakes, these lucky cats always land on their feet!